Cook County Sheriff Tom Dart is seeking attempted murder charges in an attack on two correctional deputies by three maximum security inmates that happened on Wednesday. 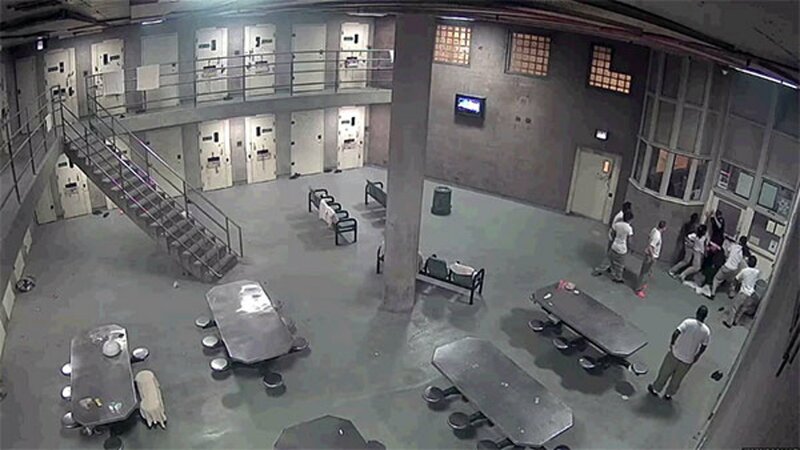 According to officials, the three inmates repeatedly punched the two deputies around 8:30 p.m. on a housing tier in Division 9, the super maximum division, of the Cook County Jail. Both were taken to area hospitals for treatment. One deputy suffered a broken orbital bone. Officials say two of the inmates under investigation, David Bush, 19, and Taiwan NcNeal, 20, were being held on charges of attempted murder for the shooting of an off-duty Oak Park Police officer in 2015. The third inmate, Terrence Lynom, 20, was being held on charges of attempted murder for allegedly shooting a 6-year-old girl who was riding her bike in Roseland. Footage of the attack captured by jail cameras was released on Thursday.